Decades ago, in the midst of preaching the gospel, Pastor Tom Pham exited the podium, hopped onto a motorcycle and escaped the scene as the Vietnamese authorities approached. If caught preaching, he would face incarceration for violating laws prohibiting religious services. Now, he sits in prison, once a week, with his colleagues sharing the gospel with the men inside. Pastor Pham said God called him to San Quentin five years ago. He came to San Quentin’s Protestant Chapel as a guest and met several of the incarcerated Vietnamese men. He has returned ever week since. Pastor Pham, along with the few incarcerated Vietnamese men, formed a Bible study group that has since grown into a group of about 20 men. Pastor Pham said the group’s purpose is to bring love and hope to the men and provide them a place for sharing that love and hope with each other. The group outgrew the small room in the chapel area and now meets in the main chapel. It has expanded from a strictly Vietnamese group to a diverse group including Laotian, Cambodian, Russian, African American, Mexican, Chinese and Hmong members. “It encourages me to see people that care that much about us…instead of judging us, they show us love,” Son “Sonny” Nguyen reflected appreciatively. Nguyen recognizes the change and growth within himself and the other students. He and fellow inmate-student Gary Vong shared a dream to continue spreading the message of hope through ministry after their release from prison. Another student from the beginning, Phirak “Kid” Kim, described the group as “the family I never had on the streets.” He is Cambodian and recruited many new students to the group for the same support and love he has received through the years. He explained that he feels a lifelong bond with the group and plans to continue the connection even after incarceration. Pastor Pham’s message helps create positive relationships within the Bible study group that extend outside the prison walls. His message of love and hope encourages his students, even beyond their incarceration. During his five years at San Quentin, 15 formerly incarcerated Bible study students have been released. They continue to benefit from and build on the message of love and hope that Pastor Pham instilled. His “15 brothers” are rekindling positive family relationships, and three are beginning new families of their own. Pastor Pham even performed the wedding ceremony for one of them, Hong Syyen, a life-term inmate who paroled a couple of years ago. 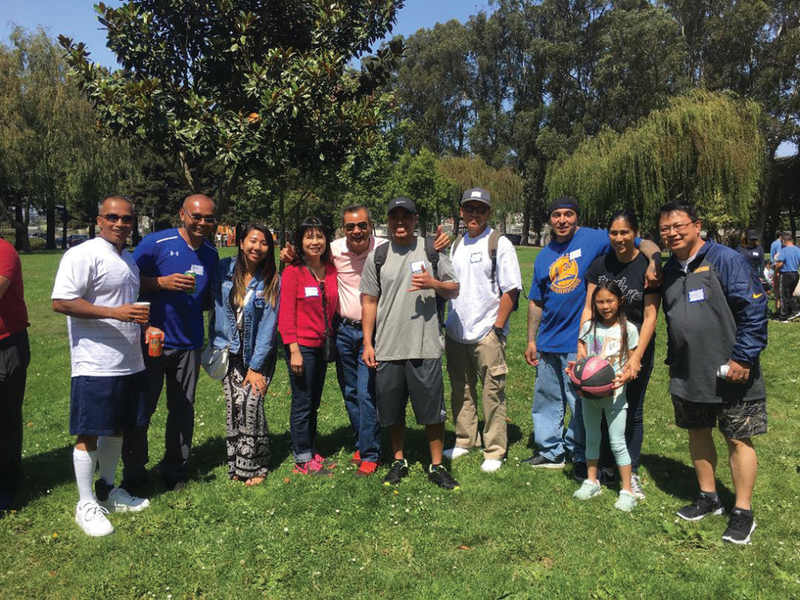 Another former Bible study student, Gary Vong, was released from prison a couple of months ago and is continuing to learn and share the positive message of the Bible in the Second Chance Life ministry group in San Francisco that Pastor Pham teaches. Pastor Lê is a pastor at a Vietnamese Missionary Baptist Church in Oakland. At Pastor Pham’s invitation, Kim Lam first visited San Quentin in December 2016 for Christmas caroling. She remembered walking with a group of visitors into the West Block housing unit, where more than a hundred prisoners were waiting along the tiers in front of their cells. Some of the inmates sang along with the visiting carolers. Sister Kim recalls the angelic voices and her husband’s vision of a beautiful angel overlooking everyone in the entire block. “I was amazed!” she said about her first visit. Sister Kim returned to San Quentin for a Sunday night Easter service when Pastor Pham delivered the message in Vietnamese. She felt that she was be- ing called to serve and, at that moment, she knew she wanted to answer by teaching San Quentin prisoners in the Bible study group. 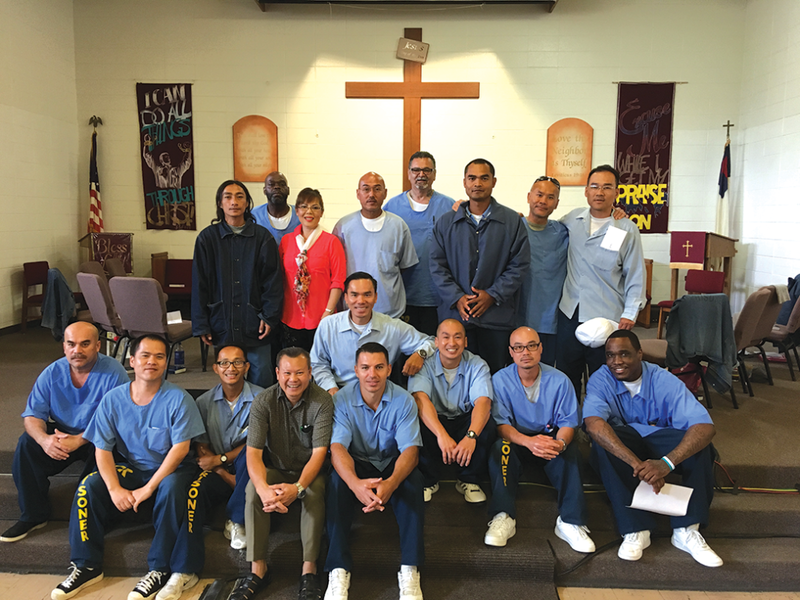 Pastor Pham and his col- leagues each found their way into San Quentin by following their hearts. They volunteer as teachers in the Bible study group for the glory of God. Their message of love and hope en- courages prisoners inside San Quentin and as they find their way out. The group meets Thursday mornings at 10:30 in the Protestant Chapel. All are welcome to attend and share the message of promise. Volunteers and Prisoners Sing During Holidays At S.Q.